Today, technology is the number one form of communication. Most social interactions revolve around the use of technology and social media. It can be difficult for anyone to be able to keep up with all the technological advancements, especially the elderly. 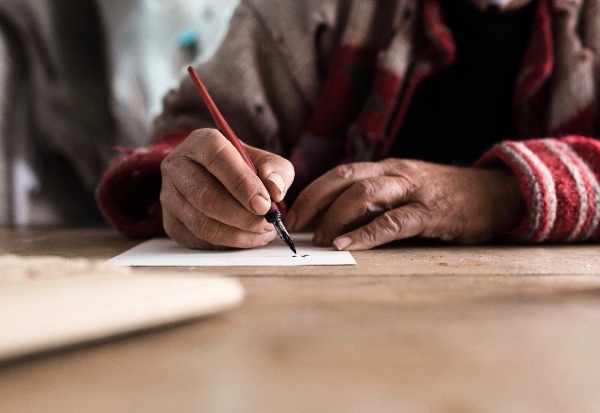 Although, some of the older population might be able to connect with their friends and families through the internet, there are still people out there who value a nice, hand written letter. There are many benefits to sending and receiving hand written letters. Writing is a form of exercise for the hands and fingers, which can help in staving off arthritis and maintain fine motor skills. There was a time, before technology, when sending letters was the only form of communication. For someone who lived during those times, the act of sending and receiving mail can provide them with a great sense of nostalgia. Finding a pen pal can be difficult but not impossible. A distant friend or relative could serve as a great pen pal, or, someone from a completely different culture. There are websites that connect people with their perfect pen pal. A great resource for finding a pen pal, grammar tips, and how to protect your privacy when writing to a stranger is writeseniors.com. The team at Laura Lynn’s Health Care are committed to assisting you and your loved one with all aspects of senior living. If you or someone close to you has any questions or concerns about how they can maintain their social interactions in this technological day in age, please schedule a consultation today by calling 405-418-2961. Our qualified team is standing by ready to help.